Two things: Simply write a 300 word lesbian romance story and copy and paste it into the message section here. Next Tweet about the competition on Twitter and include the link to your tweet underneath your story in the message section. Voila all done! The winner will be announced on the 18th of August 2017 after I have personally chosen. As an added bonus the story will be published on my website and will feature in my newsletter. Not subscribed to my newsletter yet? Sign up here. Chocolates and wine are at the ready as I wait to immerse myself in your story! Thanks for taking part and good luck! Terms and conditions: Free to enter. The story must be exactly 300 words, no more no less (Not including the title). The £100 prize will be transferred via Paypal. A link to your tweet on Twitter must be included in your entry along with your story. The story will be published on my website and in my newsletter. All rights to the story are retained by the author. Closing date 12th August 2017 at 23.59 (BST). 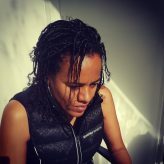 Jade Winters is a full-time author, she has published several novels in the lesbian fiction genre as well as a number of short stories.